The Jefferson Parish East Bank Consolidated Fire Department, a Class 1 department, was formed in 1952 after better fire protection was desired by citizens in the rapidly expanding East Bank of Jefferson Parish.Before the department was organized, the area was composed of 5 volunteer fire departments operating within the department's current boundaries. These companies stopped operating once a fully functional, paid department was created. After most of these companies disbanded, Fire District 2 (Eighth Ward in Metairie) began on October 20,1952. 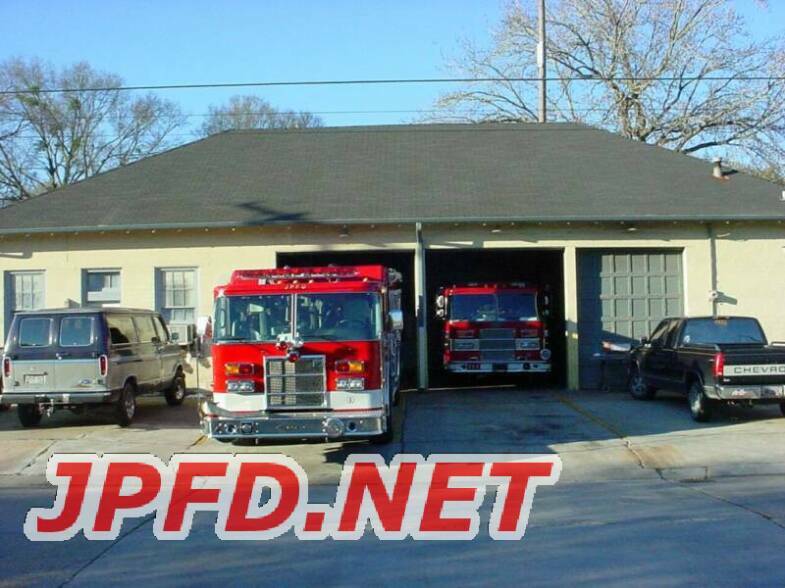 The next paid department, Fire District 1 (Seventh Ward in Old Jefferson), was officially started on February 5,1953. Both of these departments merged into the current East Bank Consolidated Fire Department in 1958. Volunteers operated out of this building until Station 11(then Jefferson Central Station 1) was built at its current location. The building still stands today. Funded by Alfred E. Bonnabel the company was first created with 2 horse drawn pumpers acquired from New Orleans F.D. Eventually mechanized apparatus replaced the horses which were originally stored in Mr Bonnabel's Barn. The station was absorbed into the roster of the JPFD in 1951 and was demolished in 2008. The building (minus the addition on the left hand side) stored an engine named Old Betsy. The heavily remodeled building has served as an auto shop but today is used as an office/machine shop.The volunteers operated here until Station 12 (then Station 2) was built. The department officially began operations on May 31, 1951. Since its inception the department has strived to improve service in the first due area of residential, commercial, and mixed use properties. The first due area encompasses the region from the Orleans Parish Line to Hickory Avenue/David Drive (east-west) and from Lake Ponchartrain to the Mississippi River (north-south). Currently the department succeeds at this goal by operating 10 fire stations and several support facilities. It employs a total of 250 civilian and career personnel. The East Bank Consolidated Fire Department proudly protects over 180,000 residents that live in an area of 26 square miles. Personnel in the 3 platoons of the suppression division work 24 hours on the job and 24 hours off the job for 5 days and then have 6 days off. These paid firefighters answer a wide variety of calls ranging from assisting the ems and investigating fire alarms to extricating car accident victims and extinguishing fires. The future looks bright for the department as it continues its goal of providing the best possible service to those that call upon us in a time of need. Improved training, equipment, and over all planning will truly help this Class 1 department "serve to save."